The winter transfer window has slammed shut and here are the best transfers among the lot. The winter transfer window is finally over. The much maligned month of January is done and dusted. Managers can refocus their energies on league football and other competitions while the players can buckle down and focus on helping their club achieve their objectives. By this time last year, Arsenal had spent €63.75M on Aubameyang, Barcelona had spent £105M, which could rise to £142M while Alexis Sanchez and Henrikh Mkhitaryan had swapped clubs, much to the hour of both sets of fans. Gonzalo Higuain was in peak form four seasons ago. In his final season at SSC Napoli, Higuain had banged in 36 league goals in 35 games and had turned the head of some of the biggest clubs in Europe. On the back of the record breaking season, he earned a move to Juventus. He continued to impress under Max Allegri, scoring a lot of goals and linking up brilliantly with the likes of Dybala and Mandzukic. Then came the moment that changed it all for Higuain. Juventus signed Cristiano Ronaldo from Real Madrid. It meant that Higuain was excess weight for them. They offloaded him to AC Milan where he struggled to recreate the form shown under Maurizio Sarri. Despite his poor form, his connection with Maurizio Sarri is the main reason Higuain features in the list of top 5 winter signings and Chelsea will be expecting big things from the Argentine hitman. Lucas Paqueta is the latest young talent to cross the rivers and make a big money move to a European club. Paqueta won the most prestigious youth competition in Brazil, the Copa Sao Paolo de Juniores. The win was his stepping stone into the first team of Flamengo. He made his first team debut in the latter stages of the 2016 season, becoming a regular in the following season. Paqueta racked up 95 appearances in his two full years in the first team, scoring 18 goals. His form earned him a big move to AC Milan with pundits and press likening him to the likes of Kaka and Michael Ballack. Paqueta was thrust into action right from the off, making his debut in the Supercoppa Italia against Juventus in Saudi Arabia. He has since gone on to make his Serie A and Coppa Italia debut, assisting Piatek’s second goal in their 2-0 win over SSC Napoli. Paqueta is a beautiful dribbler of the ball who’s vision opens up opposition defense. AC Milan are determined to build their team around him and the future looks bright for the young Brazilian. Finally Newcastle United have shown the money. Finally Newcastle United have appeased Rafa Benitez and the St. James Park faithful. £20M was the fee Newcastle United paid to secure the services of a player playing in the MLS with Atlanta United. 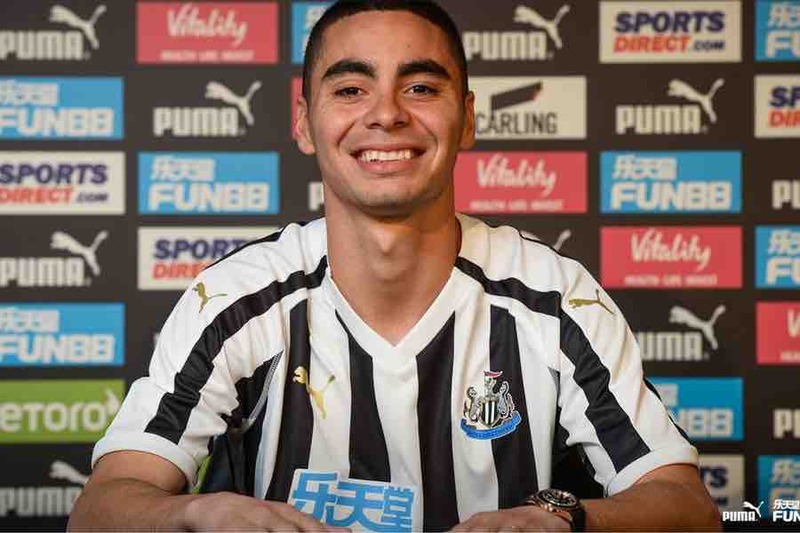 Almiron is a Paraguayan attacking midfielder/winger who can dribble past anyone and also has the end product to top the trickery off. Almiron came through first with Cerro Porteno and then with Lanus in the Argentine Primera Division. He was a raw talent who had the skills and the dedication, but needed a coach who had faith in him and built his team around him. That was exactly what had happened in Atlanta United. He scored 21 league goals in 62 games and was described as the heartbeat of the club by veteran teammate Jeff Larentowicz. At the age of 24, Almiron is getting into the peak of his career and will be hoping to show what he’s got at St. James Park. Chelsea had a problem on their hands. Willian and Pedro were in their 30s with their contract expiring in 2020. Eden Hazard had also failed to commit to Chelsea flirting with Real Madrid. They needed a young and talented star who could replace at least one of the above three, have a superstar profile attached to him and the signing should also make marketable sense. Christian Pulisic was the complete package. Pulisic has been one of the most consistent performer at Dortmund over the last two seasons. So in the summer, Chelsea struck a deal with Dortmund, making sure he signs with them in 2019. Atletico Madrid made a strong enquiry for the USA international, but were told that a Premier League club had already secured his signature. 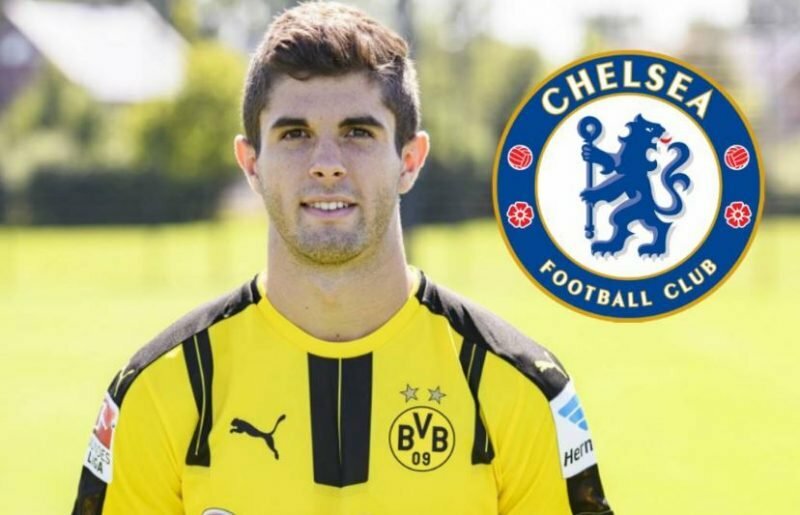 Pulisic has opened up the United States market for Chelsea. He is perceived as the Messi of USA. Pulisic brings terrific wing-play and playmaking capabilities to the team along with decent finishing. At the age of 20, Pulisic is only going to get better and with more than 110 professional appearances for Borussia Dortmund along with 23 international caps before the age of 21. This was coming from a long time. Frenkie de Jong was one of the most sought after youngster in the last one year. He had attracted the interest of Manchester City, Juventus, Bayern Munich, PSG and FC Barcelona. In the end, it came down to PSG and FC Barcelona flexing their financial muscle and fighting it out for his signature. In the end, FFP and immediate squad deficits meant PSG could not come out all guns blazing and FC Barcelona easily topped the €70M offered by PSG and also offered a better all round contract package to the player. One more major pulling factor that FC Barcelona had was the opportunity for Frenkie de Jong to play alongside Lionel Messi. These things overall were enough to convince one of the best young defensive midfielder to commit 5 years of his career to FC Barcelona. To understand more about the kind of player Frenkie de Jong is and why he commanded such a huge fee, read the article comparing him to Matthijs de Ligt. Special mention to Krzysztof Pi?tek who did not feature in the list due to the lack of definite track record and his benching at Genoa even after scoring 19 goals in 21 games. Denis Suarez to Arsenal is also a solid acquisiton with Unai Emery having a solid history with the player. Meanwhile Youri Tielemans sealed a loan deal to Leicester City from AS Monaco with Adrien Silve moving in the other direction on another loan deal. Mario Balotelli also took a step towards salvaging his career, moving to Olympique Marseille on a 6 month deal. Do you think we have done justice to scour through all the transfers that took place and pick the best 5 among them? Did we miss someone? If so, do write to us at blog@indifoot.com or reach us on twitter, facebook or instagram.